THE PRESIDENT: I think one thing that's important to remember is that, even though there's a lot of fun at Christmas, you know, you got -- especially when it's snowy like this, so it's pretty outside, you got the Christmas tree, you got the Christmas cookies, you've got presents. You know, I think that the most important thing is just to remember why we celebrate Christmas. THE PRESIDENT: Do you know? CHILD: The birth of baby Jesus. CHILD: I know why we give gifts to other people. THE PRESIDENT: Why is that? 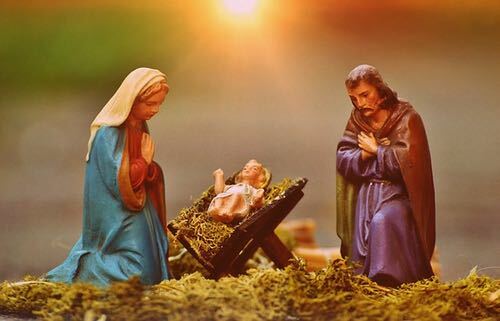 CHILD: Because the three wise men gave gifts to baby Jesus. THE PRESIDENT: That's exactly right.... You know, the three wise men, if you think about it, here are these guys, they have all this money, they've got all this wealth and power, and yet they took a long trip to a manger just to see a little baby. And it just shows you that just because you're powerful or you're wealthy, that's not what's important. What's important is what's -- the kind of spirit you have. I'm not even sure where to start with this one. President Obama has been a disappointment in many ways to this secular American.